That’s just council homes. The plan is now to encourage tenants of housing associations to buy their homes, with £100,000 discounts. The real problem: to fund those discounts, councils are forced to sell their off their homes to the highest bidder. We have to sell off an affordable home to pay for another affordable home to be sold off. And this new Right To Buy doesn’t even pretend the replacement homes will be for people in Wandsworth. All the money goes to central government – the replacement homes could be in Wigan or Wednesbury. This is wrong – as both Sadiq Khan and Boris Johnson agree. We should build more affordable homes, not sell off the ones we have at the moment. 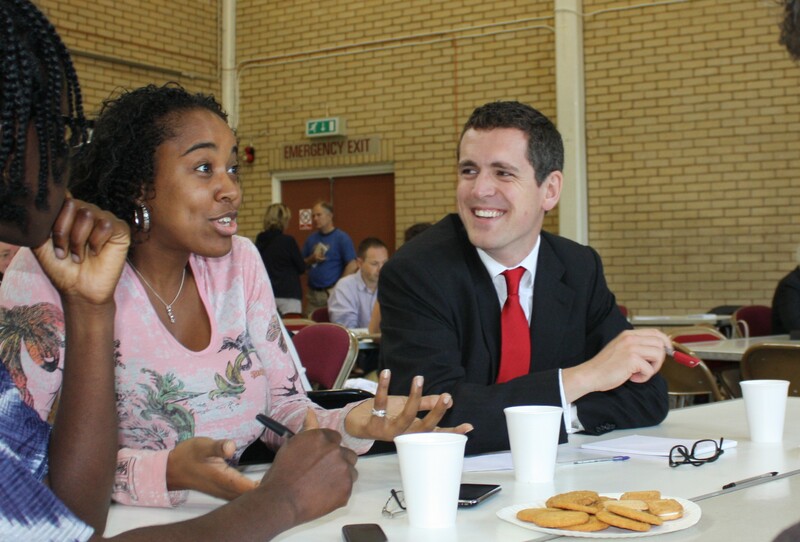 These Tory policies will benefit very few people in Wandsworth – what will they cost us? By 2020 Right To Buy and forced rent cuts will mean around £30m a year is lost to the council. To put this figure in perspective: each year less than £10m a year is spent building affordable homes and around £5m a year is spent from the main homelessness pot. The reforms will wipe £800m off projected housing reserves at the end of the 30-year planning period. Extraordinary: the council proposes to raid revenue reserves for £89m over the next 10 years to avoid the HRA falling into (an illegal) deficit. This is a terrible deal for Wandsworth. Those Tory councilors who support it are putting their political party ahead of the people they were elected to serve. Your motion mentions ‘local empowerment’. You’ve some brass neck. Wandsworth paid £433m to the government in 2012 to get freedom over its own housing finances. That deal has now been undone. Wandsworth can’t even set its own rents. You talk about local empowerment! The motion also praises the proposed ‘starter homes’ policy. This allows developers to provide homes for sale at 80% of market prices, rather than regular affordable housing. In London, it is estimated you’d need an income of £77,000 and a deposit of £98,000 to buy one. This is not extra affordable housing, it simply displaces other genuine affordable housing. We know this council has no commitment to build social housing. The sad end of a brave experiment. When we tried to move away from a system where the young and the poor are trapped renting insecure, expensive homes. These plans strip millions of pounds from Wandsworth. They take away power over our future. And they divert us from the task of providing housing to people on ordinary incomes. No one acting in the best interests of Wandsworth would support them. This entry was posted in Uncategorized and tagged Council speech, Housing, Housing speech, Renting, Right to buy, Wandsworth Housing Crisis by Simon Hogg. Bookmark the permalink.